Home » Eye Care Services » Red / Pink Eye or Sore Eyes ? Red / Pink Eye or Sore Eyes ? If you have kids, you almost certainly know about an eye infection known as pink eye. Adults can get it, too. 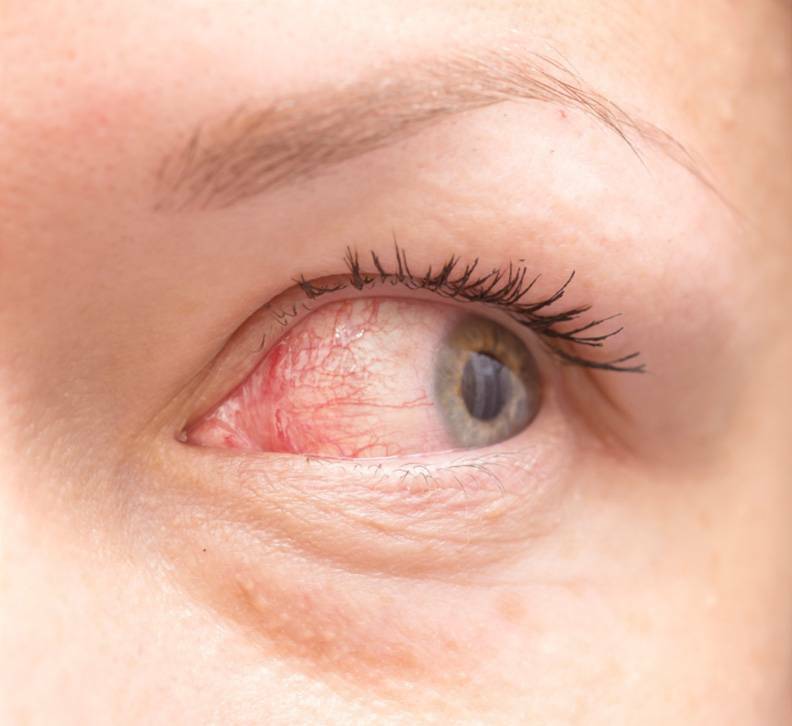 If the redness is from a form of pink eye known as conjunctivitis, you also will have symptoms such as itching, burning or stinging, eye discharge, swelling, watering — or a combination of the above. Some forms of pink eye are contagious, and some are not. Allergic conjunctivitis, for example, is not contagious. But viral and bacterial forms of pink eye are contagious. So it's best to see your eye doctor or family doctor for diagnosis and possible treatment. Quick Tip: Until you know more about what may be causing your problem, you should avoid rubbing your eyes. Make sure you wash your hands often. For relief, use cool, wet compresses on the outside of your closed eyelids. Allergies can be seasonal (spring and fall), or they can happen when something irritating (allergen) invades your eyes, like cat dander or fumes. Symptoms of eye allergies include itchy eyes and red, watery and puffy eyes. How your eyes are affected may depend on the time of year and type of plants you have in the area where you live. We Texans tend to have lots of seasonal allergy problems in the spring and fall. But many people can also have year-round allergies because of dust mites, molds, etc. Quick Tip: Try cold, wet compresses on the outside of your closed eyelids. You also may find relief if you take an over-the-counter antihistamine orally. If the allergy continues to annoy you, you may need to see your eye doctor for a prescription to help you deal with symptoms.